With the first of December only a few days away I thought I’d best talk about advent. Little one was coming up to six months old when it was her first advent two years ago. I’d seen in our local haberdashery (I love that word!) 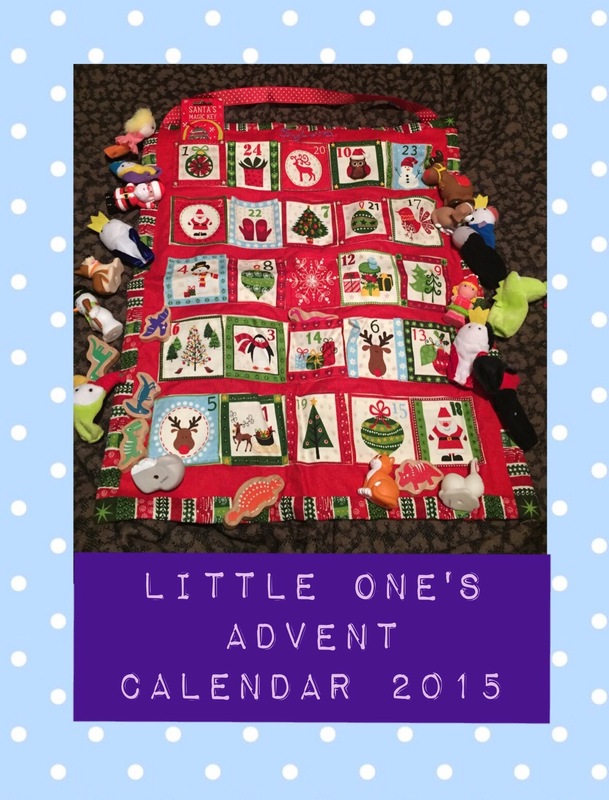 a kit to sew your own fabric advent calendar with pockets. What a brilliant idea! At this point little one was already suspected of having CMPA and was on a dairy free diet, so getting a regular chocolate advent calendar wasn’t possible even if I wanted to. I wasn’t organised enough however to actually make it for her first Christmas so we used it for the first time last year. I collected little items throughout the year to fill the calendar with. Mothercare had a Little People Christmas set which was perfect as I spread the figures out across the month. I also picked up some finger puppets at a nearly new sale, a set of little wooden dinosaurs in the Sainsbury’s toy sale and a few little animal models. As with everything it can be as expensive as you make it. I bought items as and when, and in sales which helps keep the costs down. We also didn’t give little one a Christmas stocking as such so it balances out. She really enjoyed picking out a the little item each day, however at 18 months old, she didn’t really understand it. This year I’m expecting much more excitement. I’m also going to only fill the relevant pocket each night otherwise I can imagine little one will be helping herself!! The beauty of doing this type of advent calendar is that it can grow with them. This year I have picked items which are relevant to her interests now- Disney princesses feature heavily! It can also be a lovely decoration. I have seen wooden calendars in the shape of trains or Christmas trees. HobbyCraft sell a lovely wooden house which you could decorate beforehand for £8.00. At the higher end of the budget, John Lewis has a pre-decorated wooden Christmas tree for £25.00. 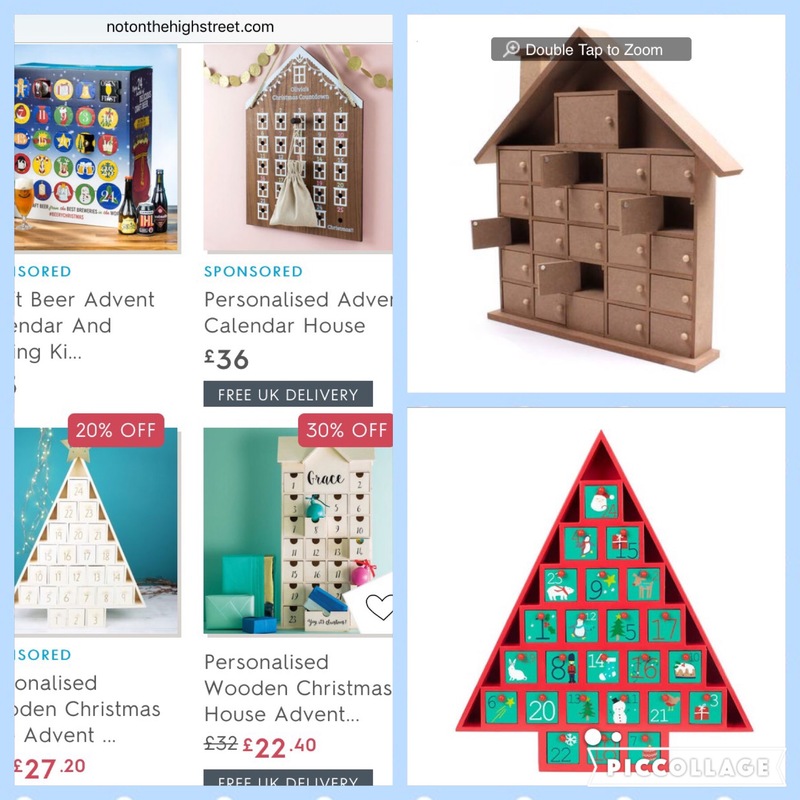 If you’re looking for a personalised one, take a look at Not On The High Street for a wide range of different advent calendars you can fill yourself. There are of course a few dairy free chocolate advent calendars on the market. Unfortunately the majority of them aren’t suitable for those who have a soya allergy. 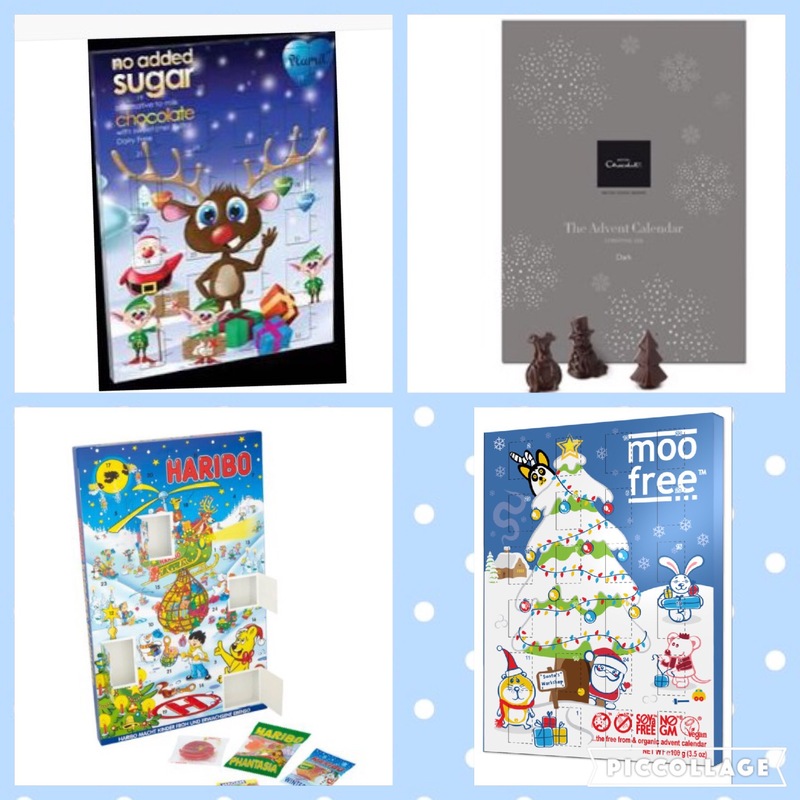 Moo Free is your best bet for dairy and soya free advent calendar, it’s also vegan, gluten and wheat free, and organic. However for £4.75 when it was available in the shops, it’s not the cheapest. I can only find it online in multiple packs from Amazon which is not ideal. If you can tolerate soya then your options are much wider. Plamil have a no added sugar version which is dairy, gluten, wheat and nut free. It’s also vegan and available online for around £4.50 (not including postage). Hotel Chocolat sell a dark chocolate advent calendar which contains soya however it is dairy free and suitable for vegans, but at £12.50, it’s definitely not cheap. Alternatively, Ocado stock a Haribo advent calendar for £7.00 which may tick the box. 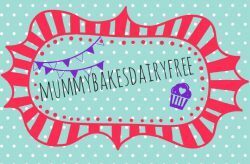 I have also heard of other allergy parents buying a dairy chocolate advent calendar, removing the chocolate, washing the plastic tray and filling with melted safe chocolate. This means that your child can have their favourite character calendar, yet with safe chocolate. Whilst it means that your child might not feel left out, I would err on the side of caution if you choose to do this. Make sure the packaging is thoroughly cleaned. I’m not sure how sterile you could make it without the plastic tray being damaged. But it is a suggestion. Toy advent calendars are becoming much more popular. A few of my favourites are the Hot Wheels calendar from Tesco which would be great for an older child, costing £10.00 plus free click and collect delivery. For younger car lovers and also from Tesco, you could get a Vtech Toot Toot calendar. It’s slightly more expensive at £20.89. Asda have a great looking Teenage Mutant Ninja Turtles Mega Block calendar for £24.97 (plus p&p at £2.95). 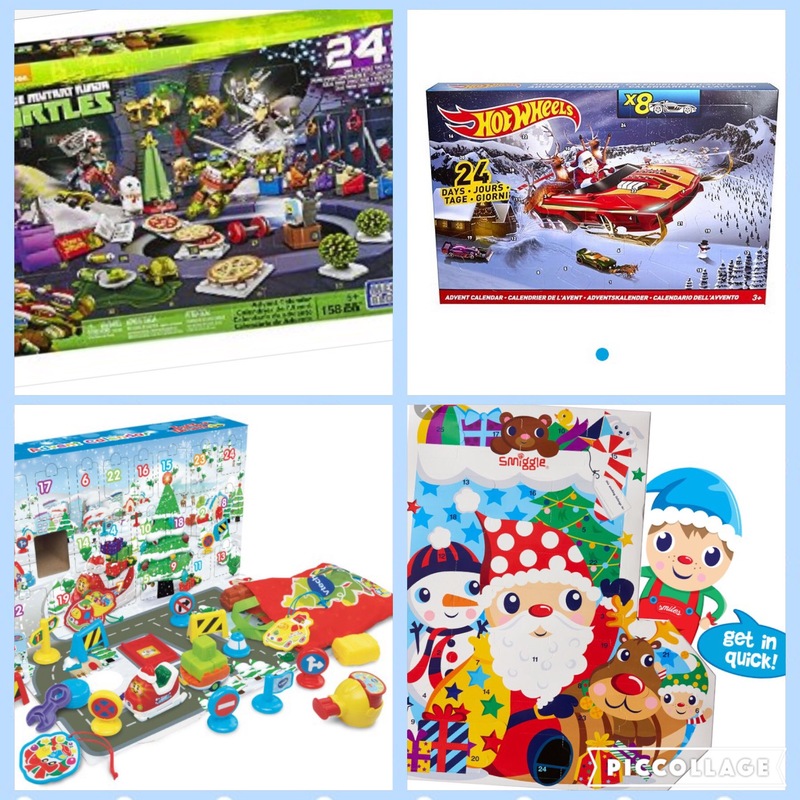 For a stationary lover Smiggle‘s advent calendar has £38.00 worth of items for £28.00 (plus p&p). These advent calendars can be pricey, however Lyndsay at Living With Cow’s Milk Protein Allergy suggests buying them in the new year sales and saving them for the following Christmas, which is a brilliant idea! I’d love to see everyone else’s advent calendars and suggestions. Send me your ideas and I’ll feature them on my blog! !